At Dove Hearing we stock an extensive range of hearing aids in Burton. From invisible hearing aids to digital-behind the-ear hearing aids we have something for everyone. In Burton, we have an unrivalled range of leading brands including Widex, Phonak, Siemens, Resound and many many more. Unlike our national competitors who are usually affiliated with one or two brands, our selection of hearing aids gives customers a fantastic range of options unrivalled in Burton. Our hearing centre in Burton offers customers the chance of a completely free hearing test followed by consultation with one of our hearing experts. You will not be obligated to buy and our staff will never force you into a purchase. We will simply diagnose any hearing loss issues you are having and give neutral advice on the best course of action and, if necessary, find the right hearing aid for you. We are a family run business with over 40 years of experience across Staffordshire. Using all the latest hearing technology, our tests are quick and painless and will swiftly pick up on any hearing issues you are having. 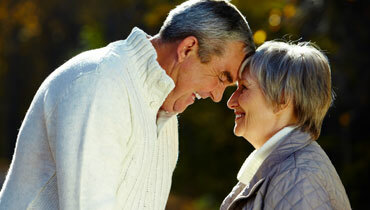 Should you need any hearing aids, we can guide you through the choices and find exactly what you need. We are so confident that you’ll love our hearing aids that we offer a full money back guarantee on all hearing aids purchased from us. Additionally, a full aftercare and check up programme will be organised for you to help you adjust to your new hearing aid. There is no reason for you suffer any longer. Our hearing aids can dramatically increase the quality of your life as you can tell by our testimonials. We are passionate about what we do but also patient and understanding. If you are experiencing any issues at all why not pop in to our Burton hearing centre for a free hearing test? Alternatively, you can book online or contact us directly and one of our friendly team will be more than happy to help with your enquiry.